ModernLuxe Terra Series Racing Style Gaming Chair Soft PU Leather and Mesh Fabric Task Chair (Blue) by ModernLuxe at RVTE. Hurry! Limited time offer. Offer valid only while supplies last. 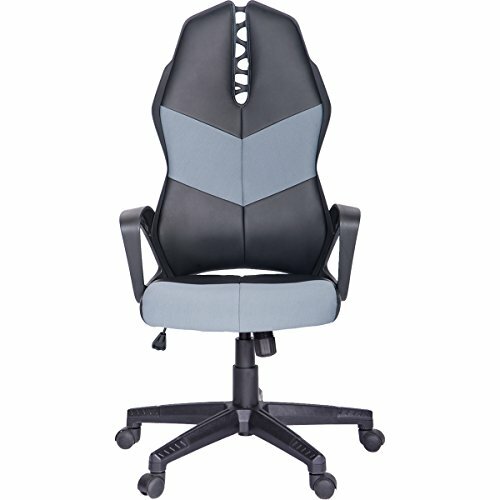 Make the right choice for your office with our ModernLuxe Terra Series Racing Style Gaming Chair Soft PU Leather and Mesh Fabric Task Chair . Make the right choice for your office with our ModernLuxe Terra Series Racing Style Gaming Chair Soft PU Leather and Mesh Fabric Task Chair . Outfitted in durable PU leather and Mesh Fabric that can hold its integrity through regular usage, this chair from the ModernLuxe Office collection is the perfect addition to your office in terms of appearance and comfort.